Electric motors and battery power is an inevitability for all new car manufacturers now. But what does that mean for us enthusiasts and racers? Well, good news: Chevrolet believes electric vehicles and motorsport do not need to be mutually exclusive. 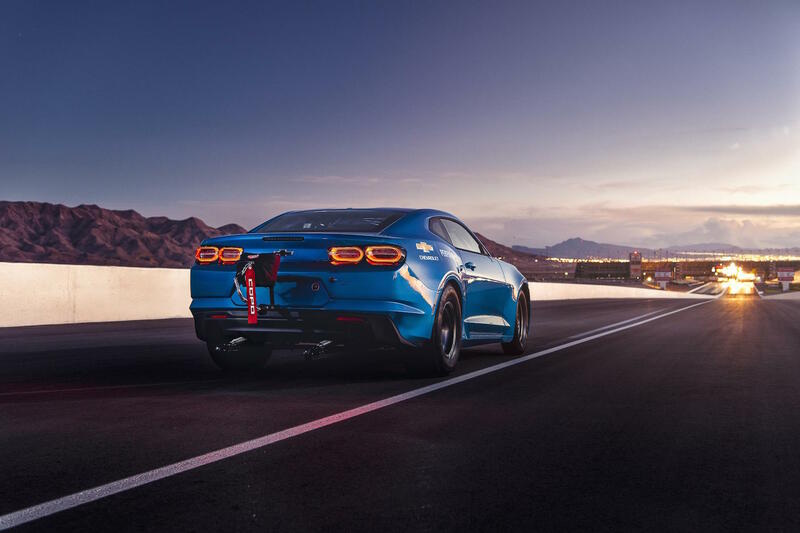 It is using the 2018 SEMA Show to demonstrate this, with a 700 horsepower battery-powered 2019 Camaro. 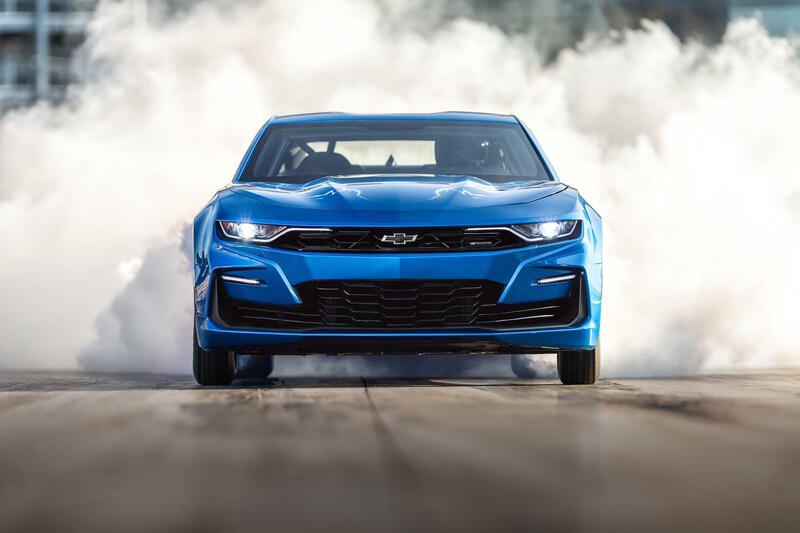 Based on the fearsome COPO Camaro, the eCOPO ditches the legendary and beloved V8 engine for a substantial electric motor instead. Powered by an 800-volt battery pack, the pair of electric motors in the eCOPO generate a staggering 600lb-ft of torque. Electric power means all that torque can be accessed instantly, something which no doubts help with a quarter-mile drag strip time estimated to be under 9 seconds. Chevrolet has mounted the battery packs strategically throughout the eCOPO Camaro for optimum weight distribution. An addition to the roll cage helps protect the precious batteries, whilst systems ensure they are in perfect health during any trip down the drag strip. What makes the electric motor in the eCOPO more impressive is the potential for it to be bolted into other applications with relative ease. Chevrolet has a strong history of producing powerful ‘crate motors’, offering big performance off the shelf. 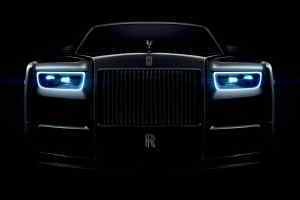 The aim is to make electric power no different to traditional internal combustion engine offerings. The eCOPO’s motor uses the same mounting placement and crankshaft flange as the rest of the engines in the Chevrolet crate engine range. This meant the electric motor could be simply dropped in the Camaro’s engine bay, and connected to the same transmission as the fuel-burning regular COPO. For the future this promises the opportunity to swap out traditional crate engines with an electric motor, making classic cars thoroughly clean and green. It might upset purists, but the promise of huge instant torque may well win them over. At present this is very much a concept, but Chevrolet is serious about building electric crate motors. This will involve plenty of time spent at the drag strip, testing out the tyre-shredding abilities of the eCOPO Camaro. 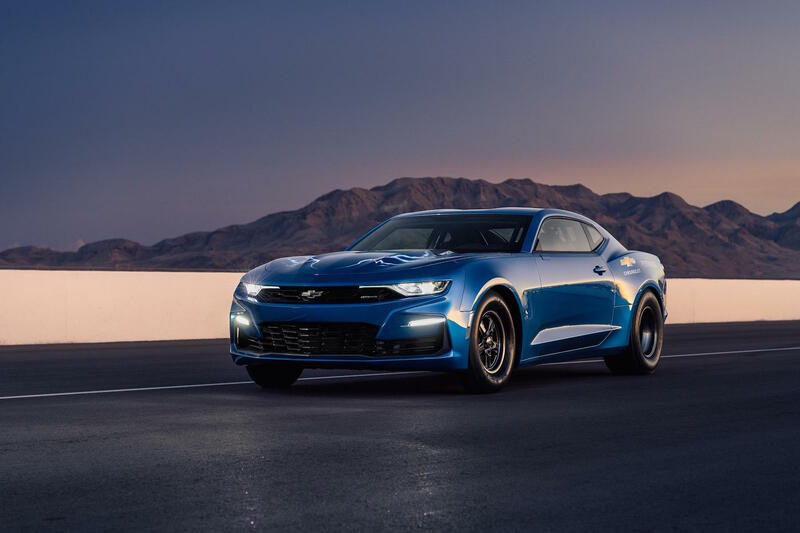 Chevrolet is showing off the eCOPO Camaro at the 2018 SEMA Show alongside the conventionally powered 2019 50th Anniversary COPO Camaro. There are also more than 20 other Chevy concepts and modified cars on display at the Las Vegas event.